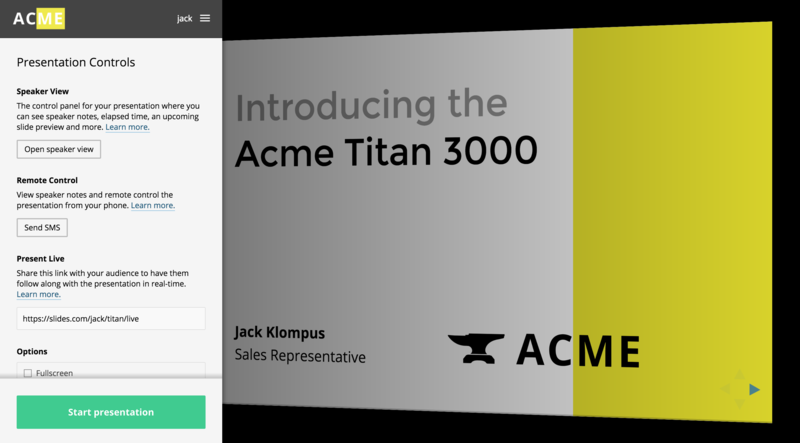 Presentations can be broadcasted in real-time to your audience. 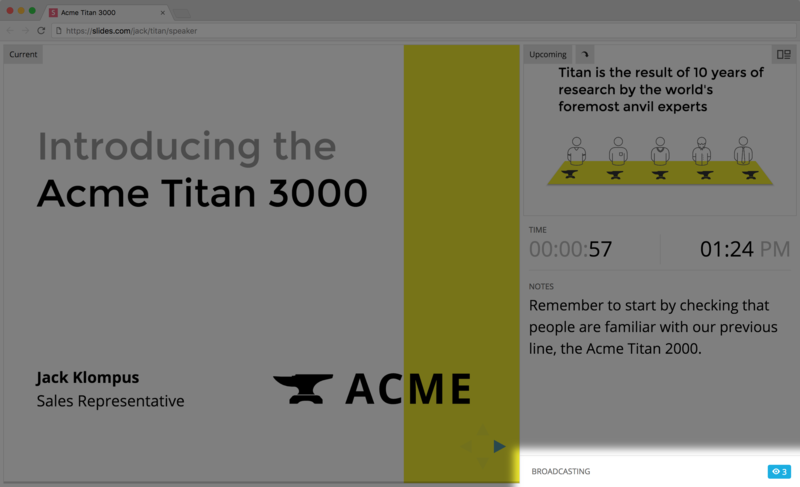 This means that viewers open your presentation in their own web browsers–on a computer, phone or tablet–and are kept in sync as you present. This is a great way to engage your audience. It allows everyone to see the slides clearly no matter the presentation setting or room size. Since viewers load the full presentation into their own browser, the quality isn't subject to video compression and bandwidth issues commonly associated with video and screen sharing. All you need to do to start a live presentation is sharing the live URL which is available in the controls of the present view. When a viewer opens this URL they will see the presentation in full screen along with your profile picture, name and presentation title. Turn on the Live Cursor option to allow viewers to see your cursor movement and clicks on their screens. This is useful for highlighting specific pieces of content on the screen. You can see how many people that are currently watching your live presentation inside of the speaker view.